It has been the world’s lengthiest audio DVD with most number of Sanskrit recitals recorded by a single voice. 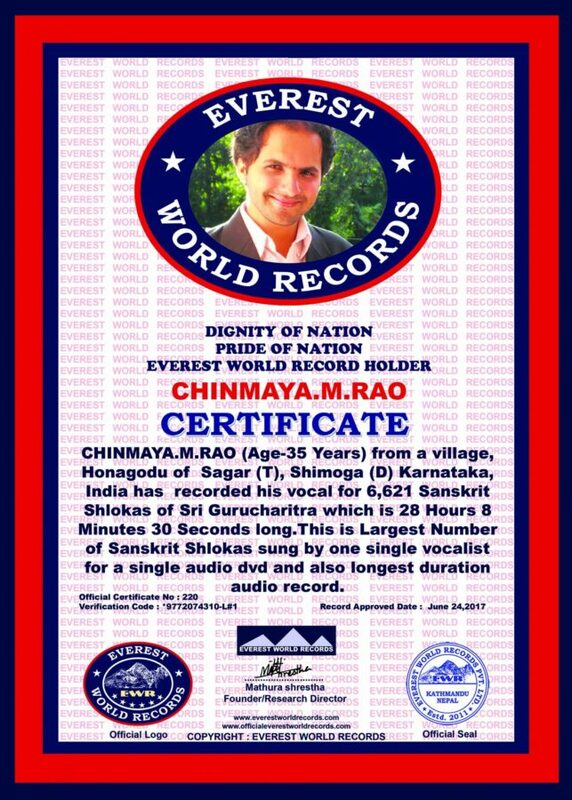 In the recent past, an audio Recording, ‘ Sri Gurusamhita’ recorded by Honagodu’s Chinmaya M. Rao which was included in the list of ‘United Kingdom’s Record holders world record’ list has now joined the Nepal’s prestigious ‘Everest world record’. This longest audio recording consisting of 6,621 Sanskrit Shlokas have been Sung, recorded and mastered by Chinmaya M. Rao himself. The audio DVD recording duration is for 28 hours, 8 minutes and 38 seconds. It was released in Harihar at Narayanashrama, on 24th May by Shree Prabhudatt Maharaj, who descends from ‘Datta Parampara’. Based on “Sri Gurusamhitaa” written by Sri Vaasudevaananda Saraswati, this holy scripture’s Anushtup Chandass has 52 chapters containing overall 6,621 Sanskrit Shlokas for which Chinmaya M.Rao has himself sung, recorded, edited and mastered the whole DVD there by managing all aspects of audio recording alone at his own small home studio at his village. Between 2010 to 2013, Chinmaya has dedicated around 2,400 hours over the span of 3 years for this audio DVD. Originally based in Marathi Language, this holy book called Sri Gurucharitra by the poet Sri Gangaadhara Saraswati, is popular till date throughout the state of Maharashtra. Sri Gurucharitra takes the honor of being a sacred scripture after it has been the wonder and ecstasy of Sri Dattaatreya, Shreepada Shreevallabha and Shree Nrusimha Saraswathi. Having inspired by Datta, Sri Vaasudevaananda Saraswati has translated this masterpiece into Sanskrit. 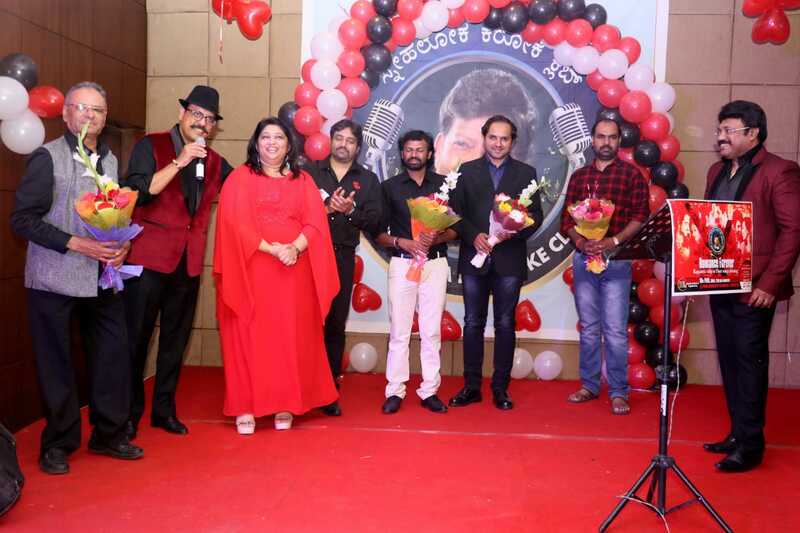 Produced by Shree S. Shreedhara Murthy, a renowned astrologist in Chitradurga, this audio DVD is been presented to the world by Swaramedha International Music Academy.